Our experienced staff will work with you to ensure you find the right solution to maximize the performance and style of your facility. Our flooring experts will work with you to ensure you the best rubber flooring to maximize the style and performance of your weight room. Available with an interlocking cut to make your installation a snap. Ask our experts about custom sizing and cut options. 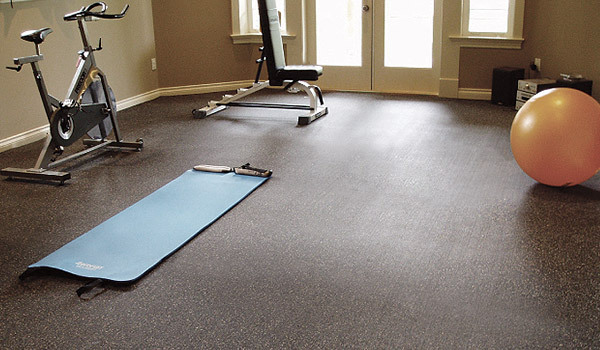 Put the finishing touch on your home gym with durable, hygenic flooring by SportFloor from Hatashita. 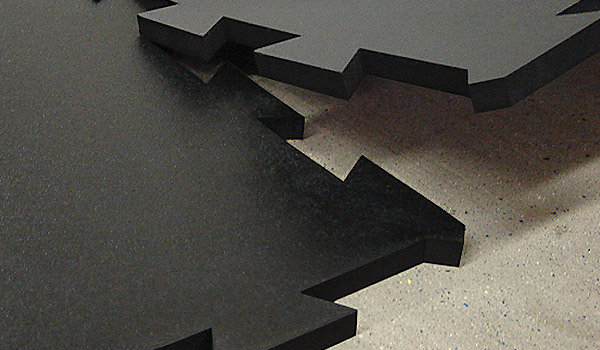 Take your facility to the next level with rubber flooring solutions from Hatashita. Perfect for weight rooms, ice rinks, home gyms, rec centres and more. Durability and design for high performance. Manufactured from the highest quality rubber, SportFloor features an extra-tough, slip resistant and easy-to-clean surface specifically designed to withstand even the most demanding surface needs – like arenas. SportFloor also offers full customization capabilities to fulfill the branding and design requirements of your application. Style and performance without the maintenance. SportFloor offers a premium line of flooring products ideal for many recreational surface applications. Unlike vinyl or hardwood floors, SportFloor requires no waxing, stripping or refinishing for a low maintenance and cost-effective flooring solution perfect for everything from home gyms to Community Rec Centres. 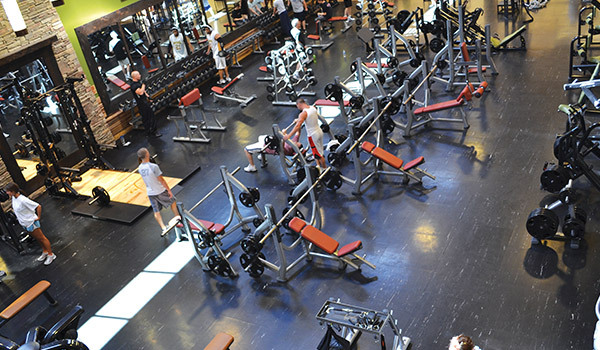 For over 40 years, SportFloor has been providing premium rubber flooring solutions designed specifically for weight rooms. Made with a non-porous surface, SportFloor repels liquids to minimize clean up, odour and maintenance. 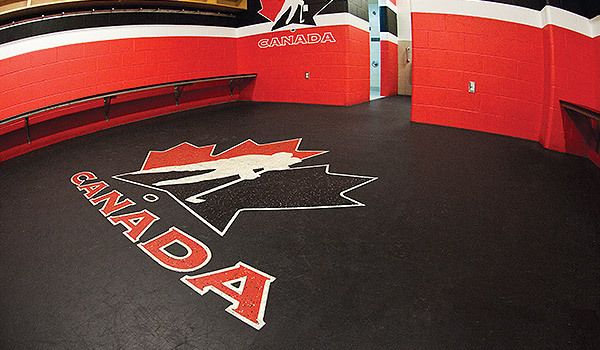 Plus, optimized for safety and comfort, SportFloor is the perfect rubber flooring choice to reduce injuries, increase performance and enhance the comfort and appearance of your room. Custom colours and cuts available. Need advice on which flooring is right for your facility?